We all know the values of having a workout buddy–they keep you accountable, they motivate you, and they make time at the gym a little bit more fun! So who better to get your sweat on with than your significant other? 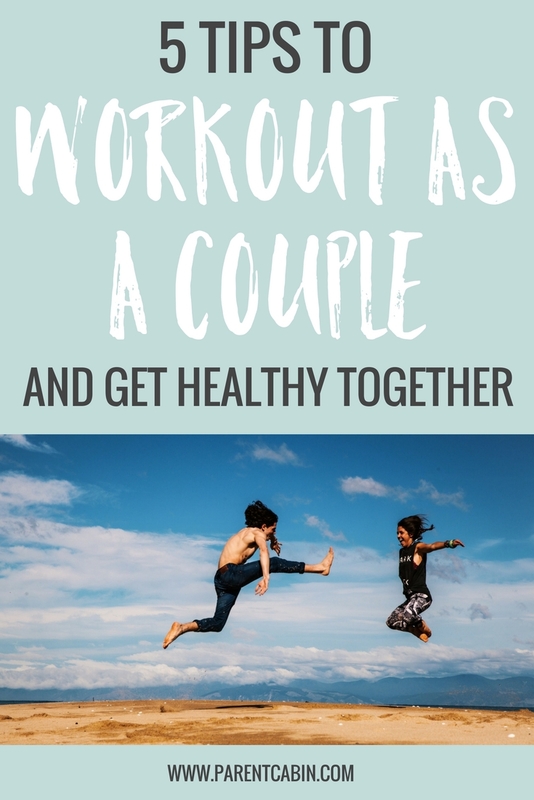 Hold each other to your new year’s resolution of getting in shape, and try these 5 tips to workout as a couple and get healthy together. If you’re having trouble eating healthier, here are 4 tips to help you love salad! Sure, it’s not a date… but between life, jobs, and kids, it can be hard to carve out alone time with your significant other. Instead of plugging in your earbuds and hitting the treadmill, try pacing yourself with your partner to chat as you run! Working out together is the perfect time to catch up and ask about one another’s day! Fitness isn’t limited to the gym – try a fun cardio-intensive activity to do together, like going for a hike or entering a local 5k! Being held accountable for your workout routine will undoubtedly make you more successful. And who better to hold you to your word than the person who knows you best? You don’t have to be each other’s personal trainers, but having someone along for the ride makes all the difference. Motivate and encourage each other, and you’ll feel more positive about your workouts and your relationship in no time! Trying something new as a pair can bring you closer as a couple. New experiences flood your brain with a feel-good chemical called dopamine – – and when you have those new experiences with your partner, your brain links that positive feeling with him or her. So why not try something new that is good for your health? Lots of gyms and park district offer yoga, zumba, and kickboxing classes. And don’t write off each other’s preferred workouts! If you’re a yoghi and your partner is a CrossFit addict, take turns picking which class you sign up for. Let’s face it: your bodies are built differently. It’s nice to have someone encourage you and push you to go further, but know your limits! If you can’t do as many push-ups as your partner, try doing smaller reps at the same intervals. Don’t be embarrassed if it feels like you can’t keep up! You want to get in shape, but most importantly you don’t want to hurt yourself. Two heads are better than one! Well, why shouldn’t the saying hold true for bodies? Don’t just use your partner as a spotter, do moves that require two people! Try some of these tandem moves that are guaranteed to bring you closer – both physically and in your relationship! Working out as a couple not only promotes a healthy lifestyle, but it helps foster a healthy relationship! So grab your gym shoes and your S.O., and get sweating!